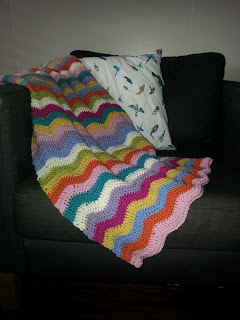 me and my 2 guys: two crochet blankets finished! I love a good finish. Last week I was a determined lady and I finshed two blankets which had both been hanging around for a while - 3 and 6 months. One was a Christmas present for my in-laws who had been very patiently waiting. The other was a new born baby gift for friends. 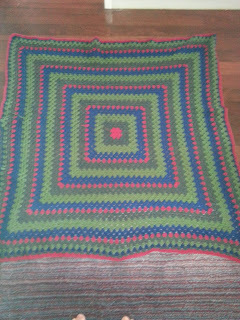 The baby blanket was my first attempt at a ripple and I did really enjoy it but it was quite time consuming and yarn heavy. Looks gorgeous though. 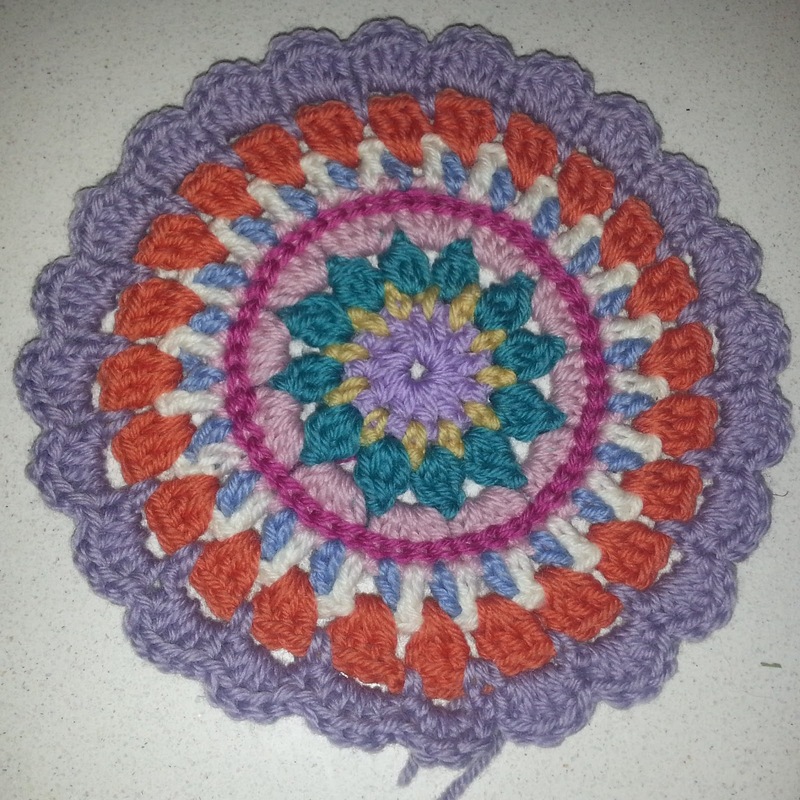 The other was a giant granny square in 4 colours. 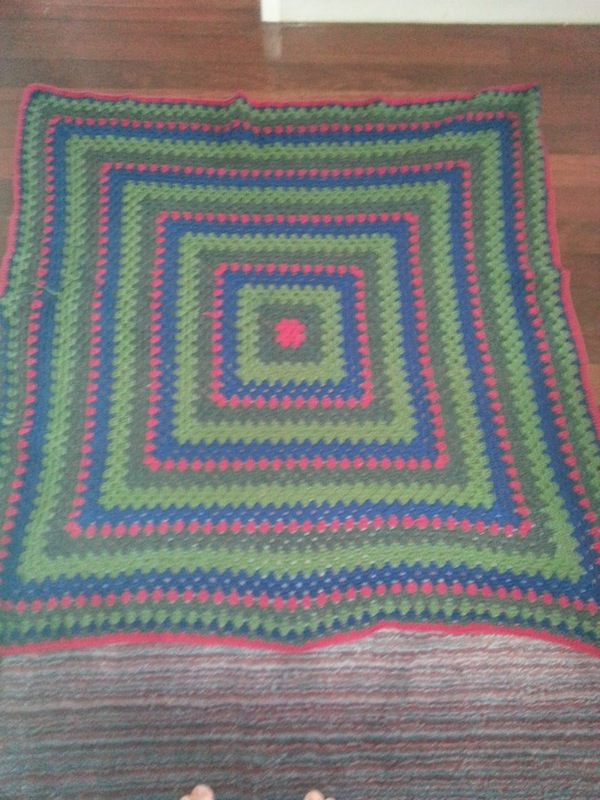 I do like giant granny squares but at you get to the final massive rows it does get a bit tiresome. 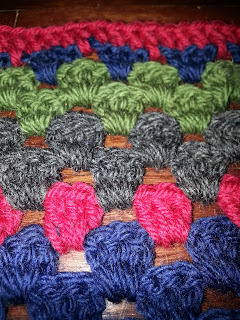 I finished it in a row of treble crochets and it gave it a nice edge. 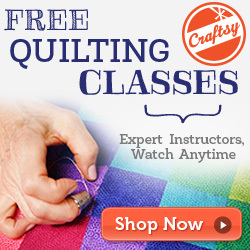 I think the next blanket I try will be a cross between the two. 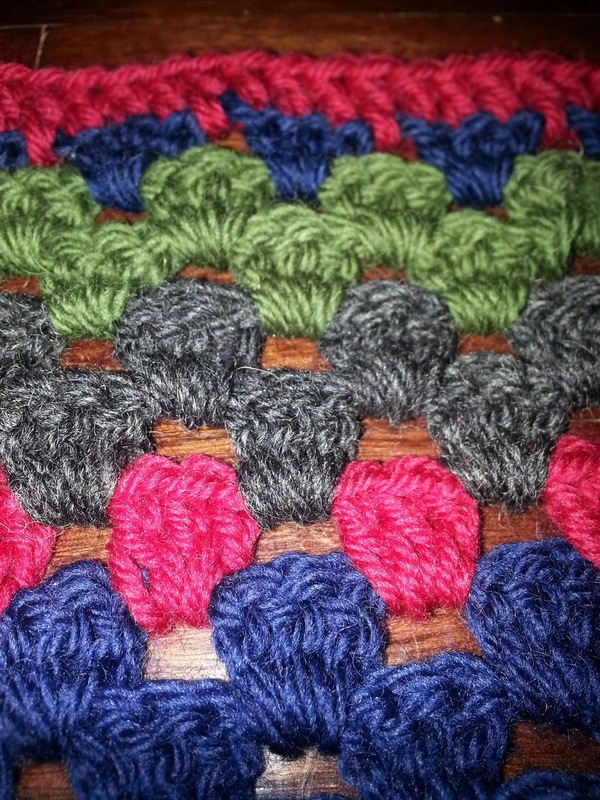 A granny stripe or granny ripple. 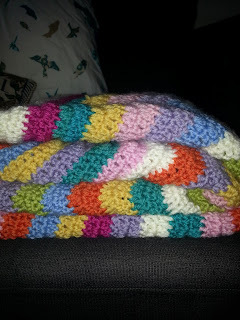 Less heavy on the yarn but done in short rows to keep it interesting! 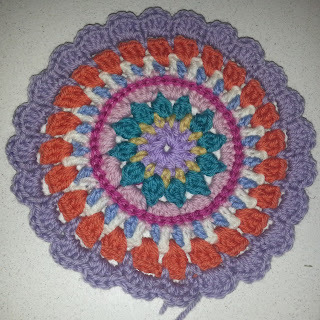 As a treat to myself I crocheted a mandala, something I had wanted to try but couldn't start until I had a couple of finishes under my belt. The mandala is gorgeous! And I love ripple blankets, I think I mentioned once before that one of my kids has one...they are lovely!